Melford Dokubo Goodhead Jr., now known as Alhaji Mujahid Asari Dokubo recently set the Nigerian media world literally ablaze at a press conference. As we watch helplessly the slow but steady destruction of Nigeria, those who refused to listen to the words of truth will expedite its final fall. It is a case of terrible blindness and strange infatuation. Those of us who expressed fear that Nigeria is marching toward its destruction are like Noah in his day, have been called crazed alarmists. They hated us because our criticisms revealed the iniquities of the government in power. They accused us of being the cause of all the troubles which had come upon Nigeria in consequence of their actions. Though without wealth, position, or honorary titles, we’re a terror to evildoers whenever and wherever our names and ideas were known. We’re hated by the wicked and the corrupt. Because of our persistence and insistence in condemning evil among us, our views and beliefs were a constant rebuke to their selfishness and corruption. 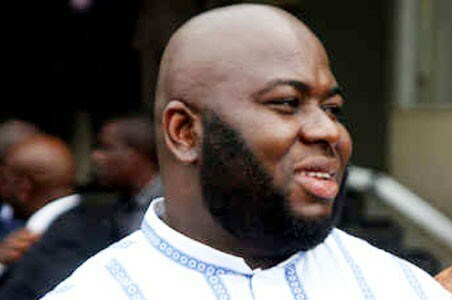 I think Dokubo was being over generous when he used future tense “will” to predict the breakup of Nigeria. It is not the arrest/non-arrest of Dokubo or re-election/non-reelection of Mr. Jonathan that will lead to the disintegration of Nigeria as we know it. Well, I have bad news for you: as far as I am concerned, Nigeria is already history! Just look at the time … and just look at what is taking place in Nigeria today. Nigeria has been robbed of the last vestiges of human civilization. Reduced from a ruler to a platform of political platitudes, Mr. Jonathan has become a titular head of a nation full of zombies with testimony of ancient evils. President Jonathan’s bone chillingly stupid deaf tone silence and “I don’t give a damn attitude” approach to the problems of the country is undeniably the catalyst that has already made Nigeria history. According to the federal government chief statistician, 38.24 million Nigerians are unemployed. Minister of State Lawal Yerima Ngama said 350,000 registered companies in Nigeria evade tax. N7.935 billion is said to be missing from the revenue collected by the Nigerian Customs Service. Nigeria’s store of provision has been destroyed through jealousy and revenge of the contending factions. All the horrors of starvation are killing our people. A measure of gari is now selling for a talent. Great numbers of our people steal at night to provide for their basic needs. Many have been seized and put to death with cruel torture. Those who escaped were robbed of the little possessions they had. There is no hospital in the country that is built for human race. Our people are dying in droves of preventive and treatable diseases. The rulers, fortified with looted money from our treasury, like beheaded chickens rush to overseas infirmaries for simple ailments such as running nose, cough, or headache! The most inhuman tortures were inflicted by those in power to further pummel the want-stricken people. These cruelties were frequently practiced by those who were well fed, and who were merely desirous of laying up a store of provision for the future. Thousands of our people perished from famine, disease, and other manmade disasters. Natural affection seemed to have been destroyed. Husbands robbed their wives, and wives their husbands. Nigerians have become refugees in their own country fleeing from persecution, poverty, and pestilence. A once proud people have become the laughing stock of the world. Children are seen snatching food from the mouths of their aged parents. Thousands upon thousands of Nigerians perished every day. Above the sound of terror, voices were heard shouting: “Ichabod!” – Nigeria’s glory has departed! Pensioners, widows, the jobless, the diseased, the hungry, and the homeless screaming and wailing while expiring with hunger and poverty rallied their remaining strength to utter a cry of anguish and desolation. Men and women, old and young, priests, the innocent, and those who pleaded for mercy were hewn down in indiscriminate carnage. The number of the slain exceeded the slayers. Not long ago, President Jonathan in an illegal secret deal with an Israeli company contracted a cyber spy program at a sacrilegious cost of $40 million to obliterate every trace of dissent from our citizens. Everything it deems “heretical” whether persons or writings, the Jonathan administration sought to destroy. Expressions of doubt or questions as to the authority of his administration’s excesses, ineptitude, insensitivity, aloofness, and corruption were enough to forfeit the life of critics. The long enjoyed freedom of conscience that has become one of our most precious and treasured rights is being disturbed and of a fact dismantled before our very eyes. War and intrigue, and deception have been employed by the Jonathan regime against people who dared to challenge their brutality, looting, wickedness, and preying on the poor and the powerless. For as wolves hunting their prey did the enemies of truth pursue those of us who dared to claim freedom of speech, freedom of expression, and freedom of the press. It is only in a spirit of free inquiry that desirable learning can take place. If you believe that your belief or opinion is based on reason, you should support it by argument. But if your belief is based on blind loyalty, your argument will go against you. You’ll realize that argument is useless, and will therefore resort to force either in the form of persecution or by stunting or distorting the minds of the people especially the naïve and the gullible. Matters of truth are to be ascertained and verified by observation and proof, not by relying on ancient propaganda scoundrels. Just look at the time … and just look at Nigeria today… Nigeria is already history! True Nigerian. These are the type of issues/problems we should be discussing rather than stupid sentiments.